Join the Peoria Area Chamber of Commerce for a quarterly session that helps you make the most of your Chamber membership. This one hour, informal gathering includes a review of free member services available, promotional opportunities for businesses through the Chamber as well as the events and programs. We encourage all new members, new managers and current members who would like a quick reminder to attend. Immediately following the Chamber 101 session Speed Networking led by Jeff Ensinger of BNI will take place! Jeff will discuss the benefits of networking specific to Chamber events. Following a short discussion of the benefits of networking attendees will have the opportunity to try their networking skills in a controlled setting. Make sure to bring business cards! Register today for the next Chamber 101 session on Monday, November 9, 2015. 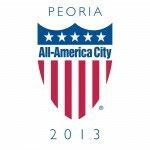 Contact Sherneka Cagle at scagle@peoriachamber.org with any questions.